Aquarium vacation preparations for your fishes are very important when you are going away. I’ve heard many similar horror stories about “All my fishes were dead when I came back from my vacation”. After a relaxing vacation, the last thing you want to come back to is an aquarium full of dead fishes. Everyone needs a vacation every now and then to relax. 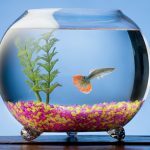 As fish owners, what aquarium vacation preparations should you take to make sure that your beloved fishes will still be fine when you are away? Don’t view your fish’s aquarium tank as a chore to prevent you from enjoying a vacation. You don’t have to watch over it all the time if you have made right aquarium vacation preparations ahead of time. 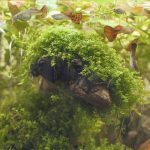 These preparation techniques also allow you to automate your aquarium tank to reduce the amount of daily work you have to do. However, for some of us it’s an enjoyment to feed and watch over our Guppy fishes! Follow our fish aquarium vacation preparations guide and you can enjoy your vacation knowing that all your fish’s needs are addressed. 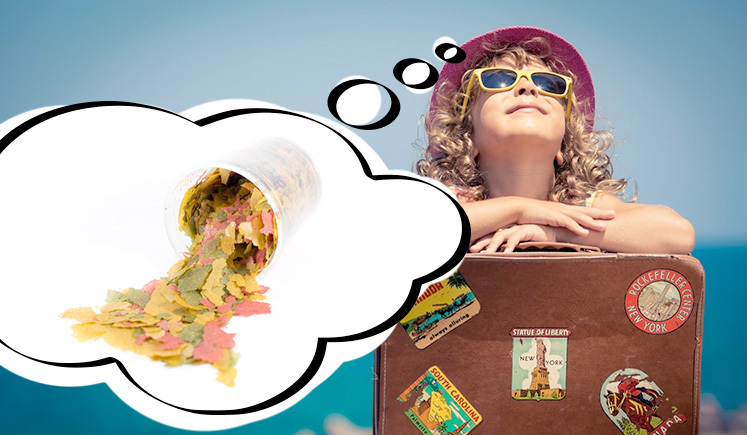 If you’re going on vacation then you could buy an automatic fish feeder that will release set amounts of your fish’s food at regular intervals. If you can, invest in a more expensive model. A lot of times, the cheaper ones malfunctions and the food can get stuck easily or dump a lot of food into your fish tank at once. Get an automatic fish feeder and fill it with your Guppy’s fish pellets or flakes. The automatic fish feeder will automatically release food into the water according to a schedule that you programmed into it. They are only suitable for pellets and flakes so don’t put an live foods in them. Alternatively to buying an automatic fish feeders, you can check out this easy DIY cheap automatic feeder if you’re a bit handy. You can also buy a suitable feeder block for your fish. They are a block of food (usually white in colour) that sits in the water for your fish to nibble on. There are many types, so try and experiment with it before you go away since sometimes the fish will reject certain types of feeder blocks. If you are going away for a long time, ask someone to help replace the feeder block when necessary. The feeder block’s packaging should mention how many days they need to be replaced. Be careful of feeding blocks since sometimes they might cloud your water and change your water’s pH levels dramatically — harming your fish or worst-case scenario even killing it. Aquarium lights are an piece of equipment that is important to your fish’s health. 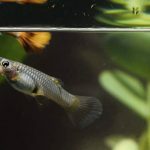 Without lights, your Guppy Fishes might not grow properly and their colors might not be as vivid as they can be. While you are away on vacation, you’ll need to turn the lights on/off, so your Guppies can get some light and some rest. Investing in an automatic timer switch will help your aquarium lights turn on and off at appropriate times. On the plus side, after buying this piece of equipment, it automates your aquarium light to turn on/off everyday not just when you’re going on vacation. TIP: Set your automatic timer switch to turn on the aquarium lights for less than 10 hours per day to reduce the chances of algae from forming. When you go away, the best method is to ask a friend or neighbor to come in and feed your fish once or twice a day. It is best if it is someone who is knowledgeable about fish keeping or you can teach them how to do it properly. Or if your tank sitter doesn’t know much about fish keeping then you should spend some time training him or her. It’s a good idea to leave them with a small container or a sandwich bag with your fish’s daily amount of food for each day. That way they won’t overfeed them. 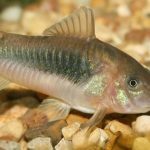 If you can’t find someone then your local fish pet store might offer an in-house aquarium maintenance type of service, where they come in to help your maintain your aquarium tanks. Prepare a schedule of the most important chores and a checklist of what needs to be performed. Before you go on vacation, do a water change within the week before you leave even if you just changed a few days ago and it’s ahead of your regular maintenance schedule. You will want your aquarium tank’s water quality in the best condition possible since you’ll be away. Make sure that if you have someone coming over to feed your fish they know how much to feed, and won’t pollute your water. Make sure all of your aquarium equipment still works fine. That way if something is broken, you still have time to replace it. Check all the clamping and suction cups to make sure they’re still working fine and tight, not loose. It’s a good idea to do a thoroughly clean your aquarium’s filter. Clean the filter’s internal fan to make sure it doesn’t get clogged up and stops spinning while you’re away. They’re often an overlooked piece of equipment when you’re doing your cleaning routines because they’re usually tucked away. Thoroughly clean all the filter’s pipes and tubes with a tube cleaning brush. If the pipes and tubes are clogged with filth then the filter will have a hard time drawing the water in to filter it properly. If your timer has a backup battery and you haven’t replaced it in a long time, it’s probably a good time to do so. TIP: Investing in a battery-backed surge protector will keep your entire aquarium tank running for a few minutes whenever there is a power outage is down. If you can, get one with a high capacity battery otherwise the equipment might not keep running for a long time. Sudden flickering of the aquarium lights might startle your fishes. Spending the extra time to look over everything is worth it and it might even prevent a disaster. Visually inspect your aquarium for any problems such as water levels, leakage or equipment malfunctioning. Test your water when you come back. Hopefully, everything is fine while you were gone, but test your water’s pH, ammonia, nitrite and nitrate levels. You might have to perform large water changes (no more than 50%) until your water is back to normal. Use your siphon vacuum cleaner to remove any uneaten food particles and waste that were left behind. 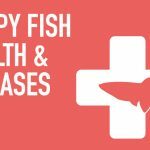 Observe your fishes and see if they have developed any disease, if they have treat them accordingly. 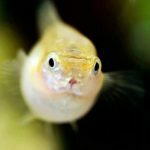 Most fishes, especially Guppies (who are fairly hardy) will be fine without a lot of care for a week or so as long as you’ve followed this aquarium vacation preparations guide. You shouldn’t have to worry too much if you’re not going away for a long time. Just follow your regular feeding and maintenance schedule when you return home.